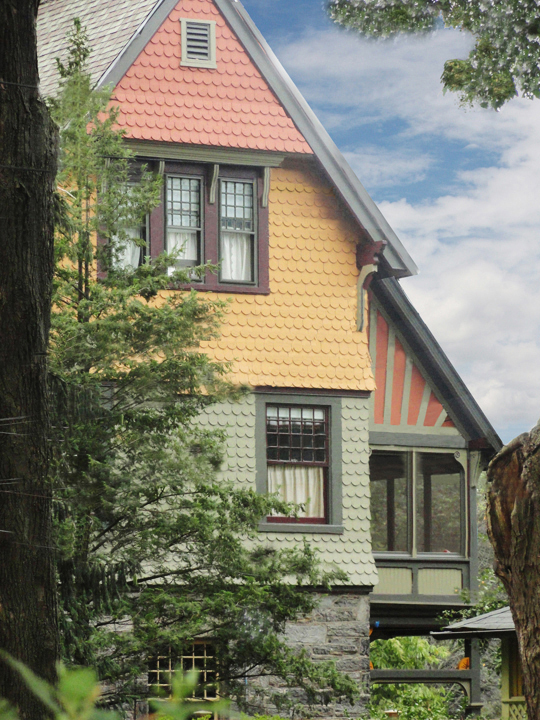 Exterior and interior paint colors are the crowning touch of a historic home renovation that reveals the distinctive character of your property. Just as Old House Authority can guide you in making those all-important often irreversible renovations, repair and design decisions, we can also help you with an appropriate color design. 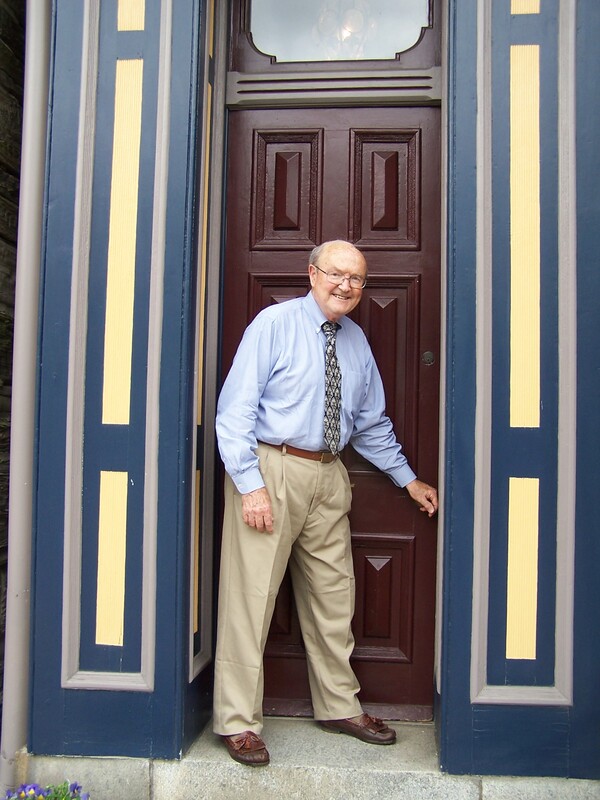 The Color Doctor, John Crosby Freeman, a national-recognized architectural color consultant, is exclusively on call for Old House Authority. John Crosby Freeman has been featured in Country Home, Renovation Style, Old-House Journal, Traditional Building and Old-House Interiors. Nearly 20 years ago, he developed the Southern Heritage color cards for Valspar at Lowe’s, which evolved into the American Tradition palette. The Color Doctor, who has written thousands of successful prescriptions for architectural colors, is available to write one for your residential or commercial property via email or a consultation on-site. Contact Old House Authority at 804-648-1616 or jennie@oldhouseauthority.com for further details and to schedule a consultation. GRAY IS GOOD: "I believe it was Emily Post, daughter of an eminent architect, married to an architect, and mother to an architect, in her Personality of a House, who said gray is the great peacemaker between colors." INTERIOR WINDOWS: "The question to answer prior to window color selection is this: Does the window look out on a prospect (a wonderful Regency landscape gardening term) worthy of being framed? If not, and there is a matter of privacy, the window will be veiled with a privacy curtain that lets light in, so an off-white will do, perhaps a pale tint of the wall color." ENDURING EARTH COLORS: Our Color Doctor, who created all three of the Southern Heritage color cards for Valspar at Lowe's, says his exterior, interior, and accent cards are the only occasion in the cavalcade of such late 20th-century palettes when so much was contributed by one person, somewhere in the vicinity of 90%. As a reliable collection featuring traditional names for the colors, he declares they are better than nothing; but their practicality is limited, like all of their kind, because they don't aid the process required of all Master Painters to adjust standard colors to whatever tints, shades, and tones required by the job site. Master Painters relied on the economy and durability of iron oxide colorants, alive and well in the dispensers of today's paint stores, to create what were called Common Colors, now called "earth colors." They are classic colors, always useful and from-time-to-time fashionable as what is old is discovered to be new again. Brick is a porous masonry material. Hydrostatic pressure of any moisture behind the brick will eventually force its way to the surface and delaminate any surface coating, sometimes taking some of the brick surface with it. Hence, don't do it. Never paint brick to change its color. Enhance the brick color with appropriate contrasting paintable trim colors. Application of any seal coating absorbed into the surface of the brick is likely to be irreversible. Again, don't do it. HOWEVER, many brick walls were painted during the 19th century and beyond. Andrew Jackson Downing despised red brick walls, because he associated them with the urban 18th-century brick row houses of Philadelphia and elsewhere. As a country romantic it was part of his trash talk about towns. Downing advised his readers to paint brick to look like something else, even stucco. Charles Darwin noted, in his 1850 book about his visit to America, that brick houses were painted red with mortar lines picked out in white paint. The red color cascading from the Sherwin-Williams bucket covering the earth is Brick Red. I recall a revitalization of a large Victorian brick side wall in Wheeling, West Virginia adjacent to its historic marketplace. It was impossible to restore its original fenestration with original bricks. The difference in brick colors was masked by paint. Sandblasted brick, tragically widespread in Lancaster County, Pennsylvania, must be given a protective coating to prevent its hastened weathering. The ultimate downside of painting brick, is this: the coating will require constant maintenance. Brick Red is alive and well in the current SW color selector. If you want me to identify it, please let me know.